Owners of consulting firms, individual financial advisers, and financial coaches finally got out of their offices and started promoting their services online. They realized how much potential a personal website can bring to their business. The pattern is clear: online visibility brings more clients, increasing the business revenues. Creating a professionally-looking site is a starting point for business success. 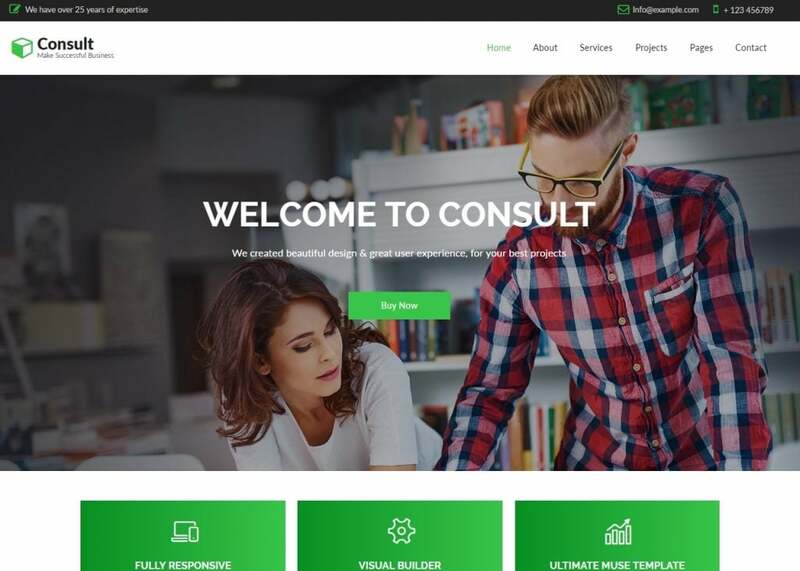 TemplateMonster offers plenty of business consulting templates and themes, but Consult is a special one. Let’s find that out now. 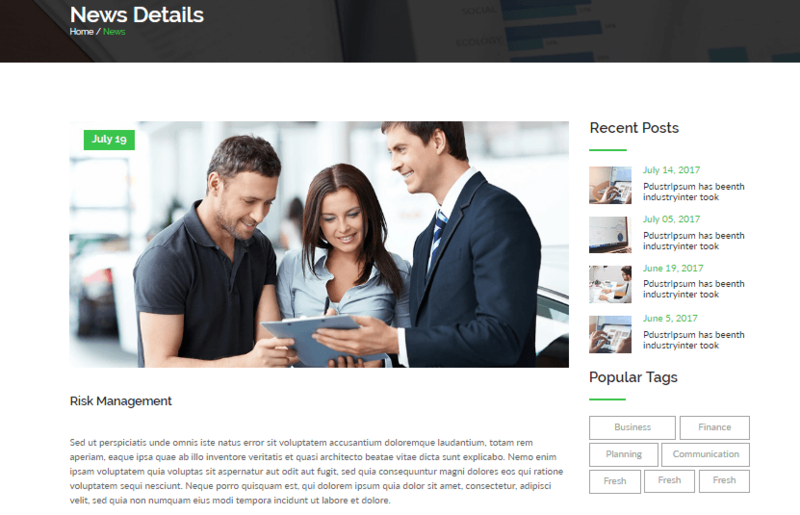 What is Adobe Muse template and why is it suitable for my consulting website? Let’s start our review with this interesting editing platform. Muse made millions of people’s lives a little happier. I mean, those people, who know nothing about coding and coding languages. The software allows them to build the front-end of their future website easily. Compared with Dreamweaver, Muse is easier to run and use. It looks like any other Adobe product, so if you already had experience with Adobe, Muse will not be a challenge. The main benefit of Adobe Muse is that you can draw any necessary element on your own and place wherever you want instead of using ready-made options. A monthly subscription will cost you $24.99/mo. Consult features a clean and user-friendly design with a fully-responsive interface so that you can easily customize it on Adobe Muse CC platform. 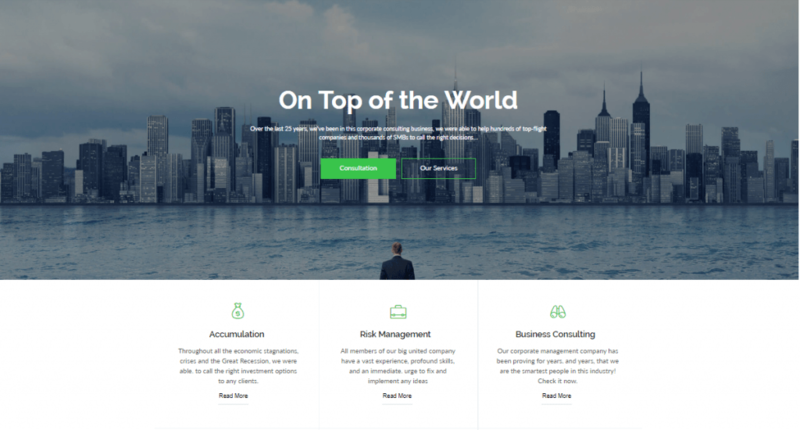 The template offers you to choose one of the three pre-designed home demo, either a pre-designed landing page, homepage with video or a homepage with Parallax effect. The demo version allows you to test all eight pre-designed layouts, which you can easily edit at your discretion with the help of Adobe Muse visual builder. Consult theme gives you access to multiple reusable elements to create a truly unique design of each web page. The process is fully-intuitive. It requires minimal knowledge of web design and software to come up with a high functional and appealing business consulting website. Businesses don’t want to lose their customers, and that’s what a callback application is for. Customers who are likely interested in getting the service can request a callback from the company’s representative by filling in this 5-step callback form. As soon as someone submits their request, the support team gets an email notification. 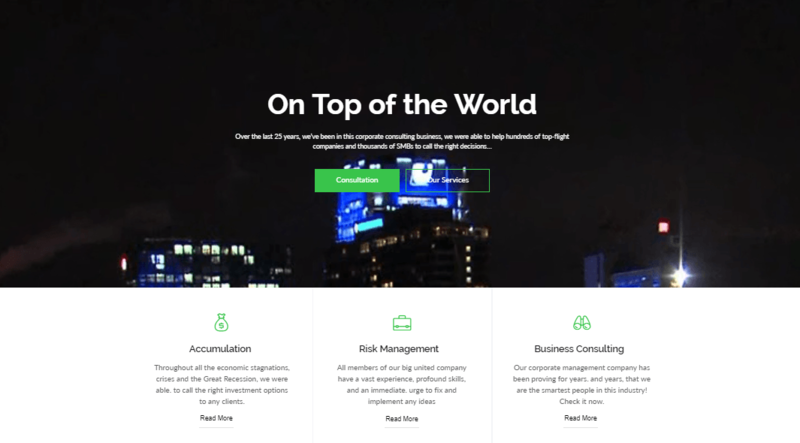 To keep the company’s online presence and let potential customers know more about its business activity, Consult developed the News Details Page. Under each post you’ll see social media sharing icons to most popular social media platforms like Facebook, Twitter, LinkedIn, Pinterest, YouTube, and even Skype. 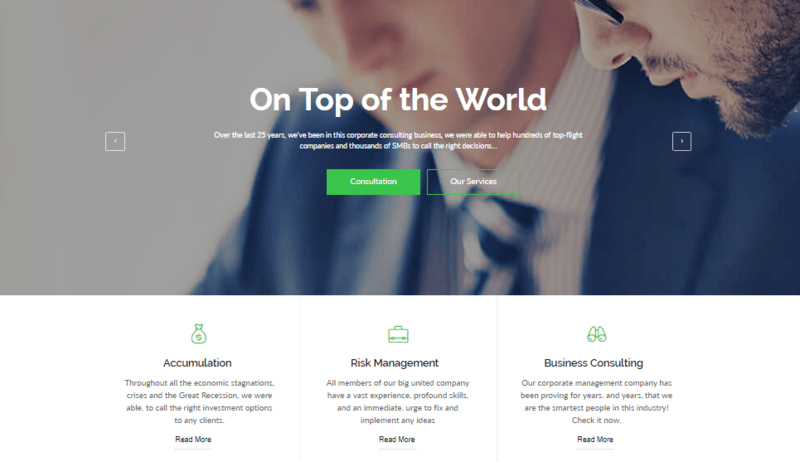 Why Consult Business Consulting Adobe Muse Template? For only $44 (a single site license) you’ll get an entirely responsive Adobe Muse template for any consulting type of business. The template was developed with the help of Adobe CC Muse software without a single line of code. There are three variations of the website home page and eight pre-built demo pages. Modification of the template’s page doesn’t require knowledge of coding because the process is done intuitively. That all comes along with Google Fonts, icons, a responsive slider, detailed documentation, fully layered PSD and W3C valid HTML support. Even though this is a vendor’s product, you’ll get a 24/7 support from TemplateMonster by default. 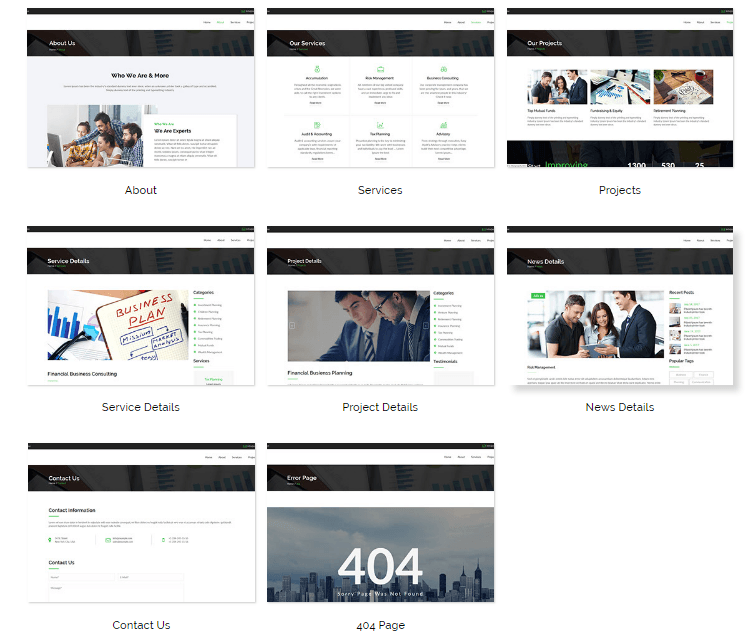 If you are curious to see the other Adobe Muse products at our marketplace, look at these Business Consulting Muse templates. Would you use the Consult template for your consulting business website, or have you found a better alternative? Do you consider Adobe Muse a convenient platform for designing sites for people with no coding skills? Share your opinion below in the comment section.